Huuuge Games is a mobile games developer and publisher. 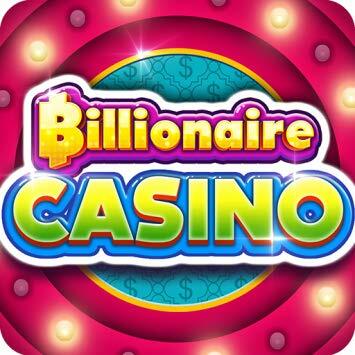 The company’s development efforts have focused on the fast-growing multi-billion dollar social casino gaming market worldwide. Its flagship app, Huuuge Casino, offers a social gaming experience where users can interact and play with other players from around the world, in real time. The attractive, free-to-play casual casino environment has earned the company a steady spot in Google’s Top 30 Highest Grossing Games, in one of the most competitive domains of the mobile scene – casino gaming. Huuuge Casino, as well as the company’s other apps, are available on all major mobile gaming stores, including iTunes, Google Play and the Amazon App Store. The highly-competitive environment of gaming apps (and particularly, casino-style gaming apps) requires Huuuge to be particularly vigilant in their user acquisition efforts. These efforts extend far beyond driving a steady stream of new users to download the app; the apps’ success depend on continuous and recurring user engagement. Like many other leading gaming apps, Huuuuge works with a large number of ad networks and user acquisition partners for these very reasons. The UA teams at Huuuge rely heavily on data from recent and current campaigns in order to optimize them in real-time; budgets are moved and changed in accordance with campaign performance. With the growing need to measure multiple apps simultaneously, alongside dozens of campaigns and media sources, AppsFlyer has become an indispensable part of Huuuge’s marketing stack. The AppsFlyer dashboard is referenced numerous times on a daily basis by Huuuge’s UA and BI teams, mostly for pulling Cohort, Protect 360, Activity and Retention reports. While the data was readily available in the various reports, UA team members required a more holistic view of their KPIs to better understand the quality of the new acquisitions and the funnel each campaign was driving. Combining certain KPIs and analyzing, for example, the cohort revenue for a certain day post-install, or the aggregate return on ad spend for day X post-install, could only be done by pulling and combining several different reports. Pulling aggregate data for broader timeframes (such as 6 months back) required additional reports to be pulled and combined. Team members found themselves cross-referencing several reports and performing additional calculations, a needlessly time-consuming task that could take up to an hour each day per team member. As companies scale, the sheer volume of raw data can be astounding; navigating it effectively can not only save time and effort, but give a whole new outlook on the insights within. With the right tools in place, teams like Huuuge’s UA teams can customize their data reports to achieve the flexibility they need. AppsFlyer’s Master API fills that void. Master API is an aggregated data API that enables users to create custom reports with the groupings and KPIs of their choice. The API can combine data about Lifetime Value (LTV), Retention, Cohort, Activity and even Protect360 based KPIs, for single or multiple apps. The API is composed of a URL that defines the desired data to be viewed. With virtually hundreds of possible parameter combinations, each team member can pull precisely the data they need in one convenient report. It is customizable through and through, making it the optimal data analytics tool for the complex drilldowns BI and UA teams require. Master API also offers the flexibility of Calculated KPIs, which enable the user to create new KPIs on top of available KPIs. If, for example, you wanted to measure the click to in-app conversion rate, you could achieve this with Calculated KPIs. By easily accessing and analyzing this data, the team members made informed decisions about investing additional funds in the ad campaign or shifting the investment to better performing campaigns. The team was astonished to discover that the daily hard work spent pulling and analyzing multiple reports could be resolved with a single query. Introducing Master API to the workflow had an immediate impact on the team’s data analytics productivity. What used to take each team member up to an hour every day was suddenly available at the click of a button. Full reports could be pulled in seconds, rather than manual aggregation that could take over an hour. With each team member able to customize their own report to include all the required data in one place, they were able to gain considerable insight while saving a lot of time and effort. The ability to pull and draw insight from readily available data is crucial to Huuuge as they continue to scale up. *The PDF version includes additional content: Master KPI query example and use cases. The ability to customize exactly the type of data we need with multiple KPIs, provides us a full 360-view at the click of a button. Our team can get all the specific insights they need, instantly, and in one place.